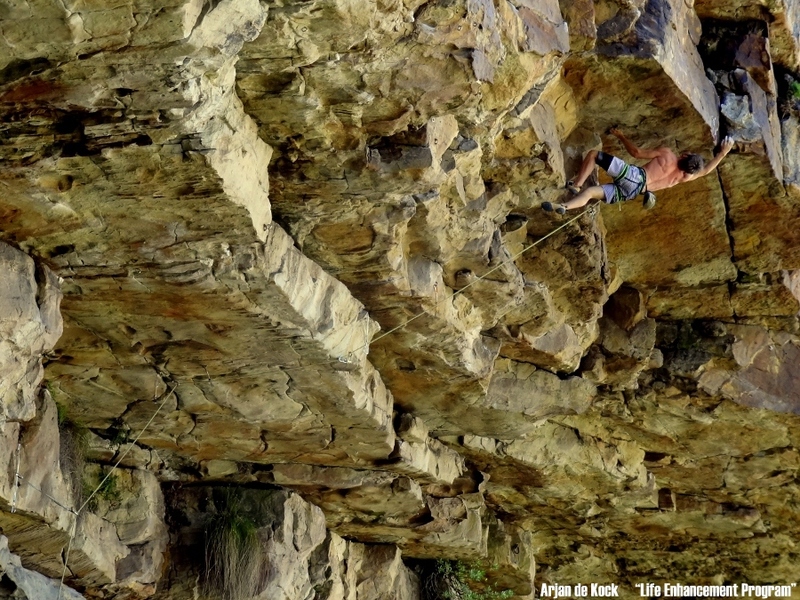 The Rock Master's 2011 competition got underway on Saturday the 10th at CityRock in Cape Town, and was a largely successful event. The comp had some high quality boulder problems and routes set by a dedicated team of setters, and was a well run event thanks to the organisers. 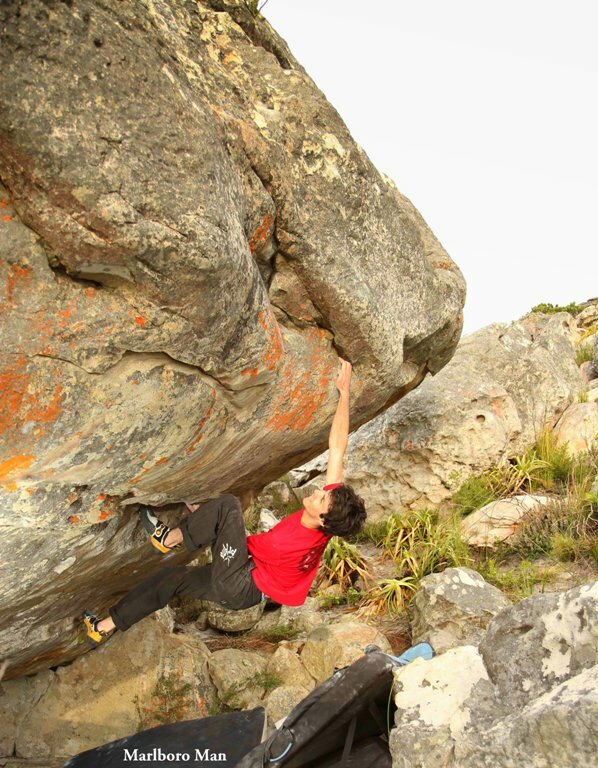 Climbers were invited from all over the country to come and compete against a pool of SA's top climbers, which resulted in a great show of climbing talent on the day. Phlip Olivier styled up "Catholic School Girls Rule" 30, and James Barnes sent "Cool Like That" 29, and most impressively, Benjamin de Charmoy made short work of "Not For Sale" 31/32. Montagu saw a fair amount of action over the past few days, with climbers from all over the country descending upon the Karoo town for their December holidays. At The Scoop, Alex Bester managed a send of "Cool Like That" 29, whilst Micky Wiswedel, James Barnes and Illona Pelser all sent "Monkey Pump" 29. This was Illona's first 29! 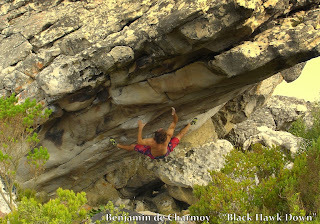 At Supertubes, Benjamin De Charmoy climbed "Hypoxia" 29 and Marijus Šmigelskis made the second ascent of "Wipe Out" 32. Back in Cape Town, Andrew Wood had a great weekend, with the 2nd ascent of "Only by the Night" 8A, a new line opened by Marijus Šmigelskis just a few days prior. 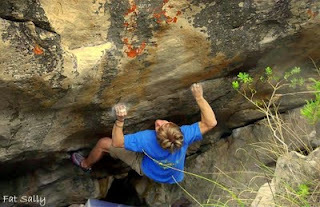 Andrew then made the long overdue 3rd ascent of "Exam Stress" 8A the following day. 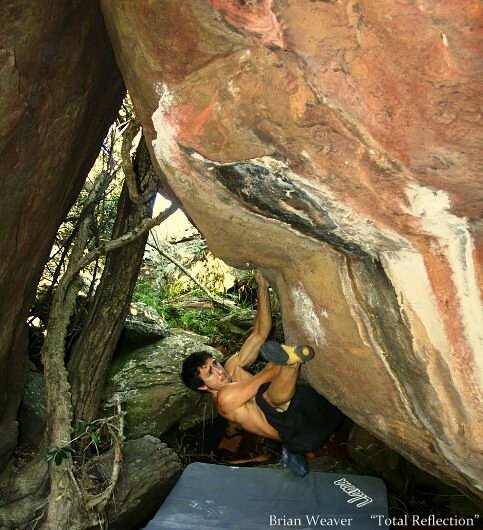 Benjamin de Charmoy demonstrates a nice trio of 7A's at Topside's Bonnydoon. A soft one ("Two Stroke"), a hard one ("Full Throttle"), and one that's just about right ("Mighty Steel Leg"). 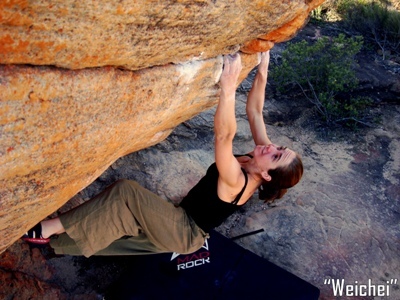 Check out Cutloose Climbing's new feature: Moderate Mondays! 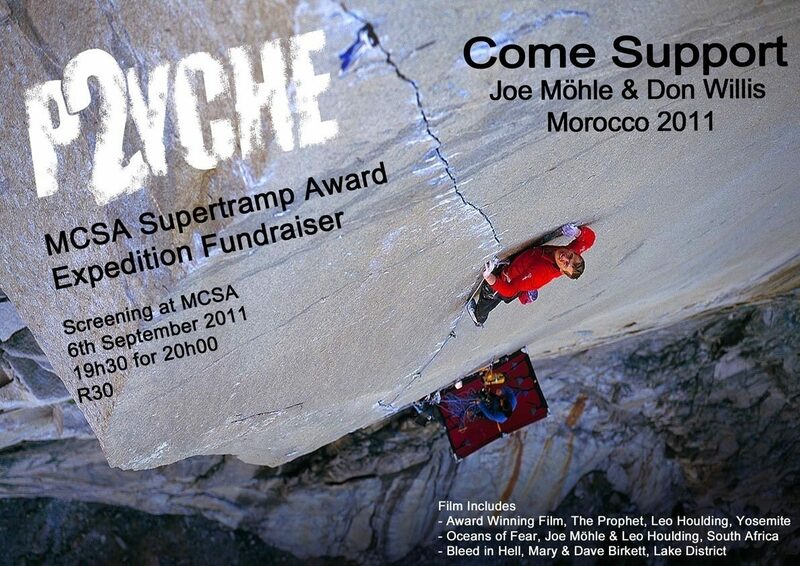 Every two weeks we'll be bringing out a short clip of some moderate climbs for you to go and try. 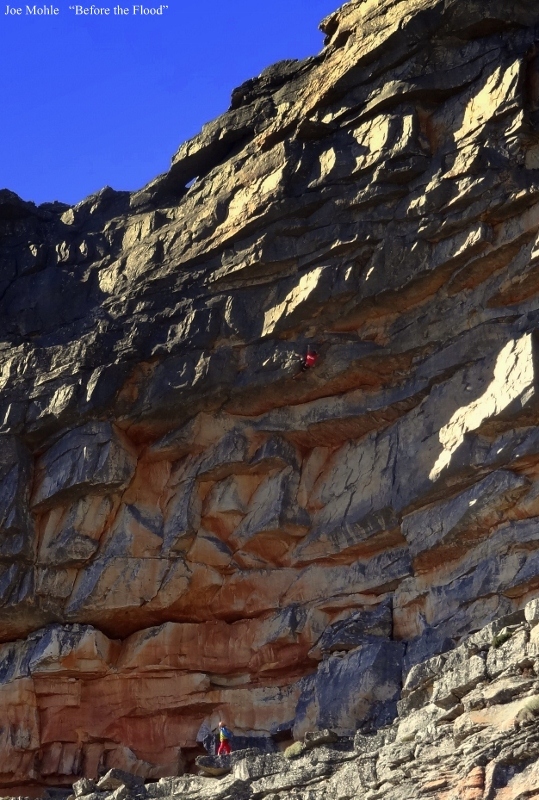 Our first clip features Andrew Wood and Marijus Šmigelskis on a few problems at Beaverlac, a popular campsite in the Southern most reaches of the Cederberg Mountains. 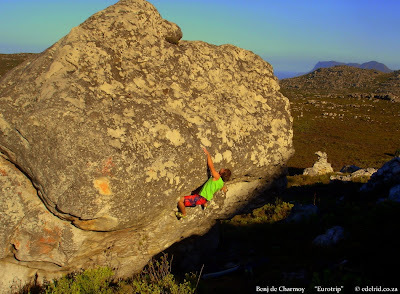 Joe Mohle spent a successful week up at Tafelberg in the Cederberg, despite being snowed on twice. We all thought it was summer! 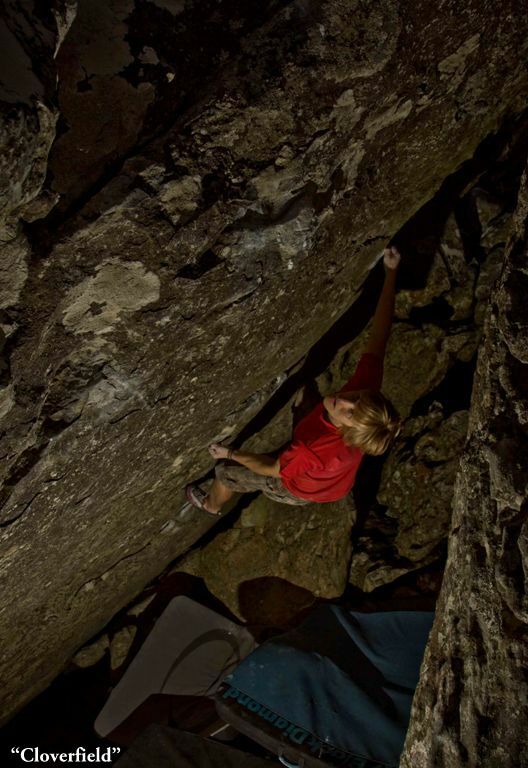 Joe managed to make the first free ascent of "Nambarrie", which was formerly 23 A1. The crux first pitch went all free at 30 via hard cutloose moves off marginal fingertip locks and the rest of the route was a fairly comfortable onsight for Joe. 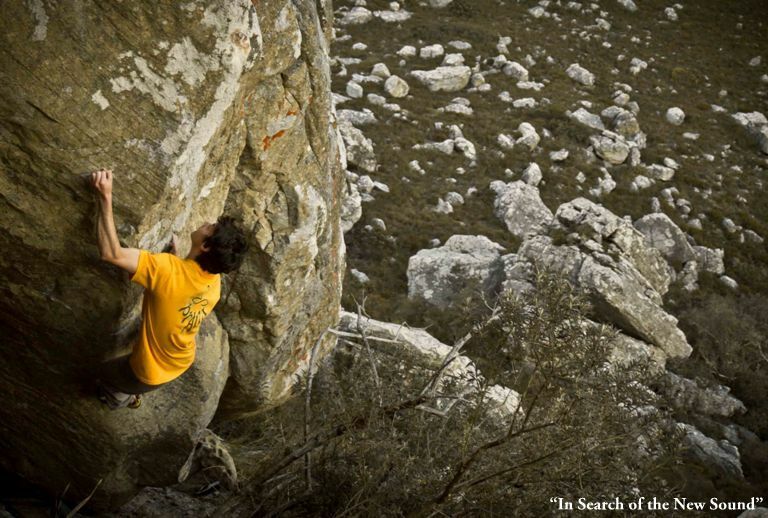 He also went on to make the 2nd known ascent of the stunning "Before the Flood" 28, on his second attempt. 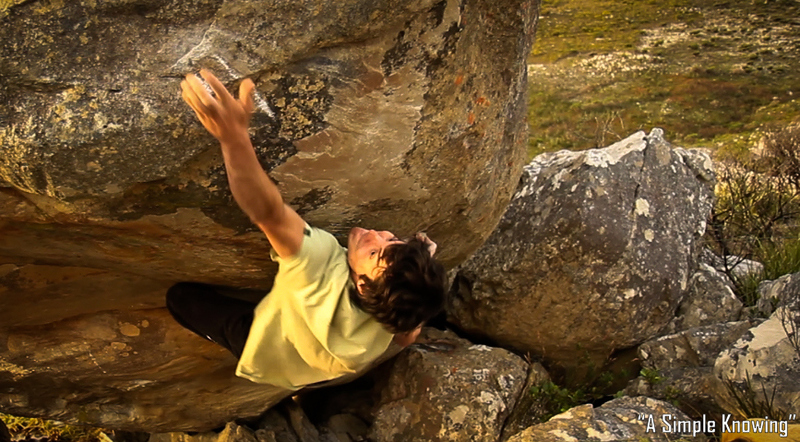 The finale of shorts featuring Paul Robinson and Marijus Šmigelskis bouldering around Cape Town this past winter. Enjoy! Check out a nice short interview with Paul about his trip here. 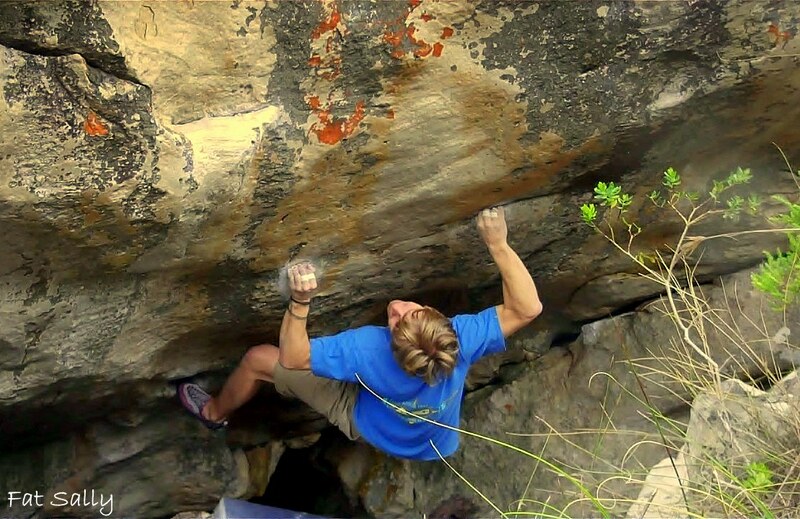 Harry Crews made short work of "Weichei" 7C+, the mini crimp-fest at the Plateau boulders in Rocklands. Harry spent one session figuring out all the moves, then returned the following weekend with a brand new pair of better shoes for the tricky heel hook and sent the line on his warm-up try. 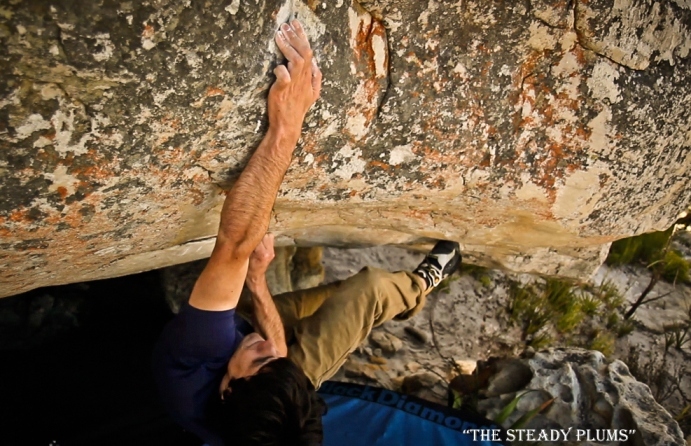 Paul Robinson's micro-crimpy arete line at Topside's Echo Valley, "In Search of the New Sound" 8B, got it's first South African repeats by Arjan de Kock and Marijus Šmigelskis this past weekend. Another local, Andrew Wood, is getting really close to sending the line as well so watch this space. Prior to his success of the "New Sound", Marijus also managed a send of the pumpy highball "Cthulhu" 8A+ as well as several new moderate first ascents. 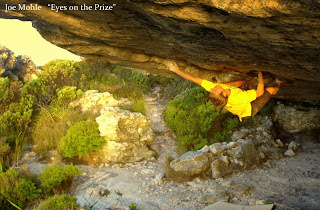 Marijus on "In Search of the New Sound"
Arjan de Kock claimed the first South African ascent of "Ray of Light" 8B this past weekend in Rocklands. 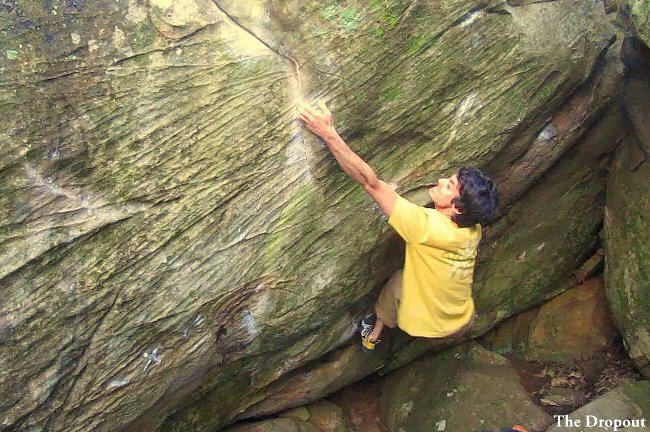 Arjan began trying the problem last season, but only unlocked the crux sequence earlier this year. Success was close several weeks ago when he climbed the whole line but was unable to claim it officially after dabbing his spotter on the dyno midway (with a solid kick to the chest!). The send was delayed even further as the thin cracks broke the skin on the tops of Arjan's fingers after just two or so attempts, thus only allowing him one brief session every two weeks. The first of several short clips of Paul Robinson's visit to Cape Town. 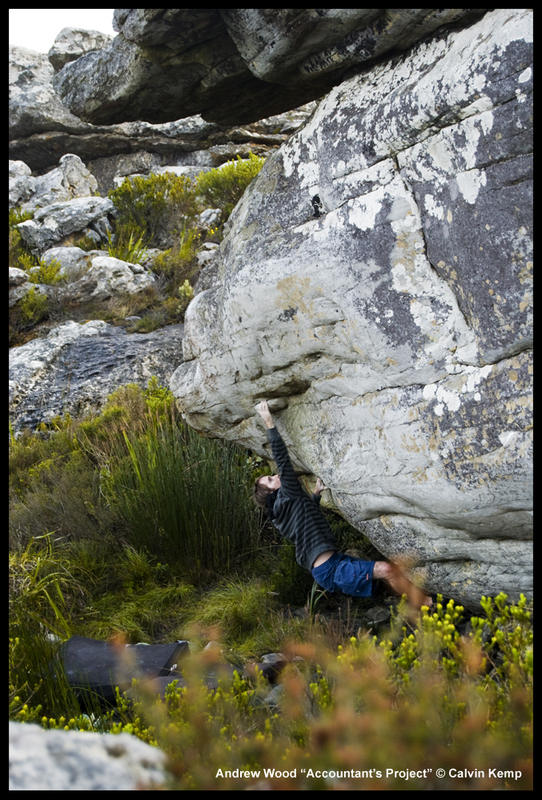 Echo Valley is quickly becoming the epicentre of the Cape Town bouldering scene with many new lines and projects popping up. 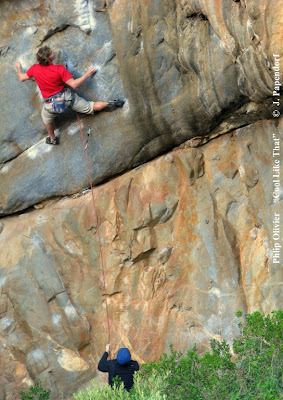 Marijus Šmigelskis made the second ascent of "The Midnight Barber" 8A and Arjan de Kock flashed "Mintberry Crunch" 8A and climbed the "Cthulhu" stand start at 7C+. Marijus also established "Cheekbone" 7C after the original problem lost most of it's crux crimp resulting in a much harder line. Moving to The Cinema, the duo also claimed the 2nd and 3rd ascents of "The Life Aquatic" 7C+. Topside's Echo Valley has seen a good amount of attention recently with a bunch of new lines being opened and some standing testpieces being repeated. American Paul Robinson has been tearing through the valley, quickly repeating many of the hard lines and is now working on some of the many projects the area has to offer. In between burns on some harder lines, he managed a quick first ascent of "Ladder to Suckcess" 7C+, a heinous jump off a micro crimp. Local legend, Clinton Martinengo has also been trying to keep up, with repeats of "Mintberry Crunch" 8A, and the much awaited second ascent of "The Buoyancy of Citrus". 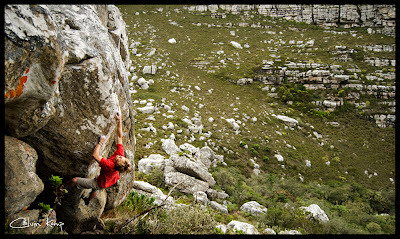 The latter problem getting the upgrade treatment to 8A, after no successes after many attempts by most of the local heroes. 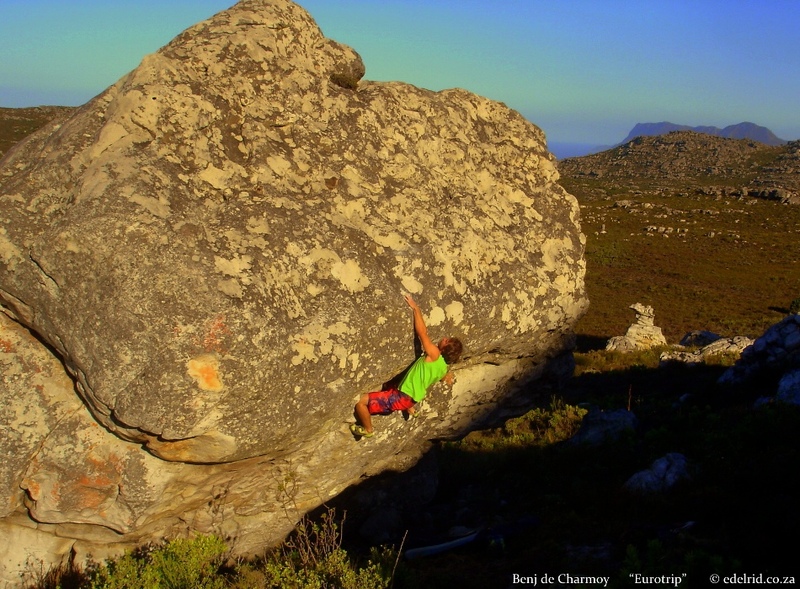 Benjamin de Charmoy has started off his season with a repeat of "Tea with Elmarie" 8A+ at the campground boulders in Rocklands. He tried the problem a bit last year, but ran out of time to complete it with so many other projects diverting his attention. Benj is in Rocklands for a few more weeks so we can surely expect more good sends. Visiting American Paul Robinson has opened the "Marlboro Man" project at the Magik Bloks, an area in Topside developed by Maciej Fijalkowski. 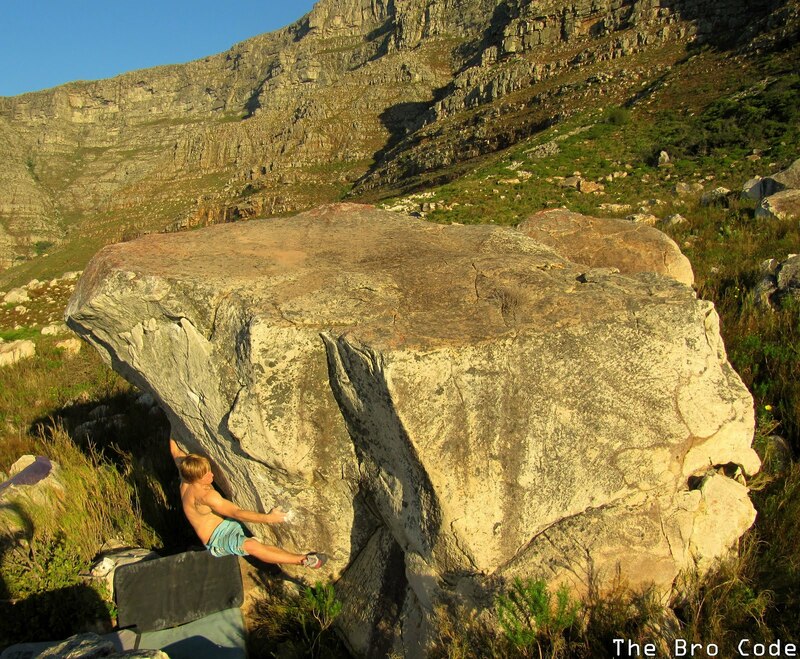 The main boulder still has 3 projects to be sent as well as a possible extension to the start of "Marlboro Man" through the roof of the underbelly of the boulder. Paul also extended "Kill the Batman" into a delicate highball finish to create "The Classy Pirates" 7C. 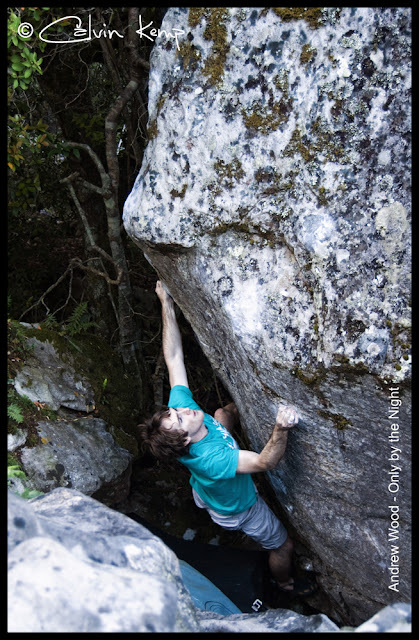 CORRECTION: New information has come to light, that the project on Crute's Boulder was in fact opened a few years ago by none other than one of SA's climbing legends, Steve Bradshaw Snr. Steve generally stays out of the limelight and had named the problem "Florence of Arabia" and graded it 7B. The long-standing central seam project at Crute's Boulder at Topside has been opened by Benjamin de Charmoy in one brief session. 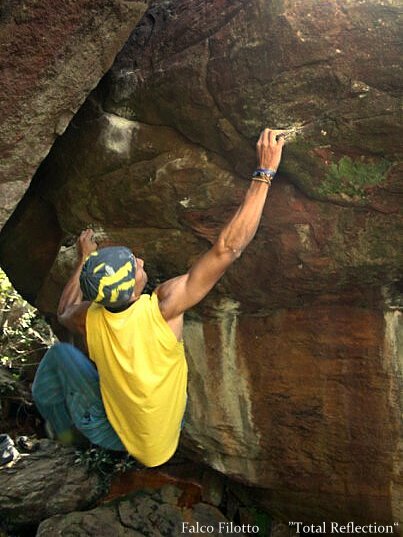 Although the line turned out to not be incredibly difficult, it's a good example of how far local bouldering standards have rising since the "golden era" of Topside. Benj named the line "Eurotrip" 7A+, after the mono and slopers featured on the problem, sticking to The Cinema's general naming and sand-bag grading theme. 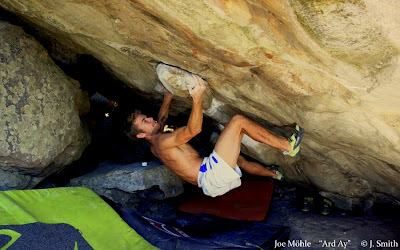 Joe Möhle has opened a new line, "Eyes on the Prize" 7C, on the much spied but seldom tried roof just off the trail at the Turtle Boulders in Topside. Joe nabbed the central and most obvious line out the large cave from a stand start at the lowest of the good holds, but notes several harder versions exist, awaiting an ascent.